Good news for users of Sony EricssonP990i and W950i smartphones - Sony Ericsson will be issuing new firmware upgrades to its Symbian UIQ 3-based smartphones after all. It was announced last week on the Sony Ericsson Developer World Forum that Sony Ericsson had taken the decision to freeze the P990, W950 and M600 firmware versions following an update two weeks previously. 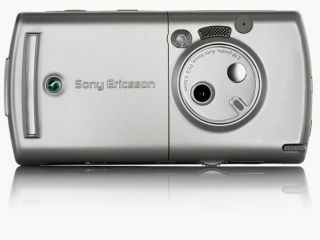 However, an outcry from owners of Sony Ericsson smartphone devices appears to have led to a re-think from Sony Ericsson. Feedback from users and further internal testing have prompted Sony Ericsson to offer a further firmware update for its Symbian UIQ 3 smartphones, AllAboutSymbian.com has reported. The new firmware decision was announced on the Sony Ericsson Developer World Forum yesterday. The next firmware release for the P990 and W950 is now scheduled for August 2007. "In response to recent feedback from users and as a result of additional internal testing, Sony Ericsson has determined to offer a further firmware update for the P990 and W950 Walkman phone. This move illustrates Sony Ericsson's ongoing commitment to its existing 'smartphone' customers and the company's desire to be responsive to customer feedback in order to provide an optimal user experience. "The next firmware release for the P990 and W950 will be available from the Sony Ericsson Update Service from August 2007."